Welcome to the SmartCode® Report Generator. 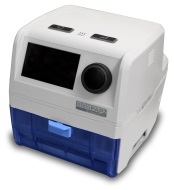 SmartCode Technology uses a proprietary encryption method that compresses CPAP efficacy and usage data into codes that are accessed on the CPAP display. When the SmartCode string is entered into this report generator, the series of characters is deciphered into an easy to understand report. 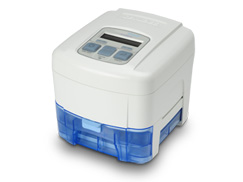 SmartCode Technology is included in every DeVilbiss® CPAP system without additional cost or fees. Press the left arrow once on the CPAP device to access SmartCode characters and then use the up and down arrows to select a specific data set. For more information on the different SmartCodes data sets, please click here. To determine the type of device, simply look on the label on the top of the CPAP device or the label on the bottom of the unit. 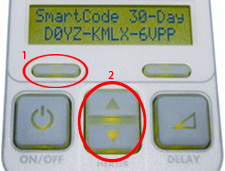 Turn rotary knob to select "SmartCode." Press knob to select. Turn rotary knob to scroll through SmartCode options. Enter desired code into the appropriate text entry box to generate a report. Note: Patient, Device, Provider and Referring Physician information is optional and should be completed only if this information is required to appear on the report.